Operation American Spring - UPDATES Being Added! 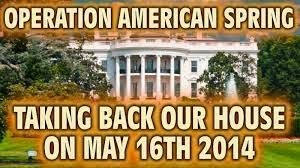 Home Editorials Operation American Spring – UPDATES Being Added! 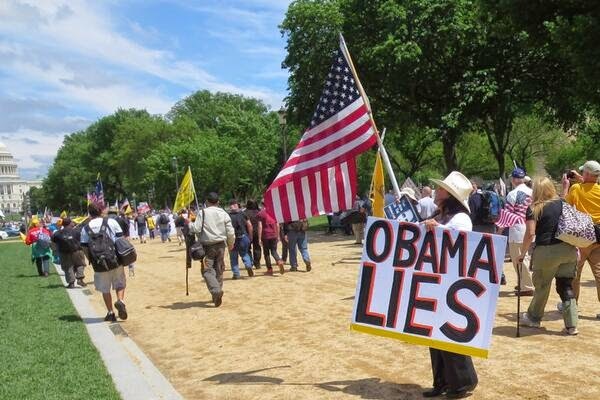 Operation American Spring – UPDATES Being Added! 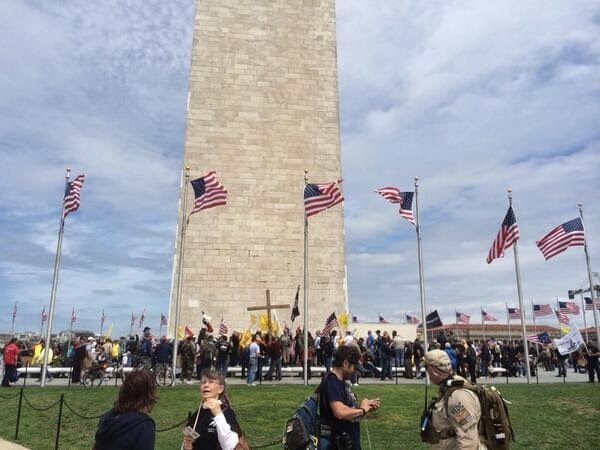 May 16, 2014, The much-talked about Operation American Spring begins and below is the UStream event set up as patriots march on Washington DC to demand the resignation of Barack Obama, VP Joseph R. Biden, John Boehner, Harry Reid, Mitch McConnell, Nancy Pelosi and AG Eric Holder. The OAS website can be found here. Mission: Restoration of Constitutional government, rule of law, freedom, liberty “of the people, by the people, for the people” from despotic and tyrannical federal leadership. Government is not the target, it is sound; corrupt and criminal leadership must be replaced. Those in power could use force against unarmed, peaceful patriots exercising their constitutional rights. Patriots could be harmed, but not expected. Phase 1 – Field millions, as many as ten million, patriots who will assemble in a peaceful, non-violent, physically unarmed (Spiritually/Constitutionally armed), display of unswerving loyalty to the US Constitution and against the incumbent government leadership in Washington D.C., with the mission to replace with law abiding leadership. Go full-bore, no looking back, steadfast in the mission. 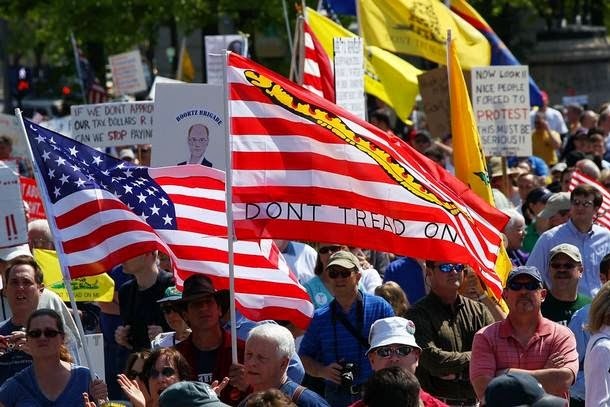 Phase 2 – One million or more of the assembled 10 million must be prepared to stay in D.C. as long as it takes to see Obama, Biden, Reid, McConnell, Boehner, Pelosi, and Attorney General Holder removed from office. The United States of America (elephant) while embracing the “LIE” is teetering on the abyss of becoming a sniveling, blood sucking, undesirable nation (flea). We see no reasonable, hopeful sign that indicates there are honorable, loyal, mature, critical thinking, experienced people in government that understands the chaos about to rain down on America, nor do they care….our only hope is that “we the people” call, organize, and draw a few million patriots to stay in D.C. for an “American Spring”. It would be the catalyst to draw the line and bring to a conclusion a decision on the out of control government, one way or the other. America will rise up or surrender………for me, I only go to my knees in the presence of God Almighty………..my knees will not touch the surface as a result of some piss ant occupant of the White House or a corrupt legislator, or outside element…I will fall to my death standing if necessary. There is not much time and the only planning necessary is to select a starting date, which we have done, and then show up in Washington, D.C. on that date, and plan to stay for the duration. The goal is restoring the US Constitution as the law of the land, removing the lawless leadership. Will this be a cake-walk? No, it will be painful, and some people may die because the government will not be non-violent; some of us will end up in a cell, and some may be injured. If that’s what it will take to save our nation, do we have any choice? Freedom loving Americans will say there is no choice, we must begin the second American Revolution. Not with guns, but with millions of Americans demanding a return to constitutional government and the resignation of Obama, Biden, Reid, McConnell, Boehner, Pelosi, and Holder as a start…then the constitutional restoration process can begin. An AMERICAN SPRING can be avoided only if the above mentioned officials resign. Please bathe this effort in prayer as there is no personal agenda or gain save liberty, freedom, and restoration of constitutional government for “we the people”.